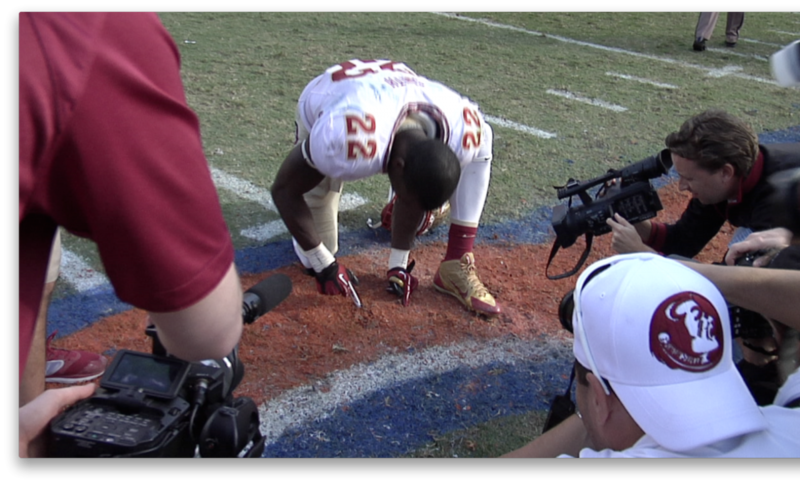 FSU linebacker Telvin Smith took part in Florida State’s “Sod Cemetery” tradition on Saturday after FSU’s 37-7 win over the Gators by cutting a chunk of sod from Florida Field. Meanwhile, the Florida band played the Alma Mater in the background and the crowd ironically sang “All Hail, Florida, Hail!” as Smith defaced the Gator’s home turf. According to tradition, Seminole players cut a piece of sod from the fields of championship and rivalry away games where they are victorious and bury it in the Sod Cemetery. 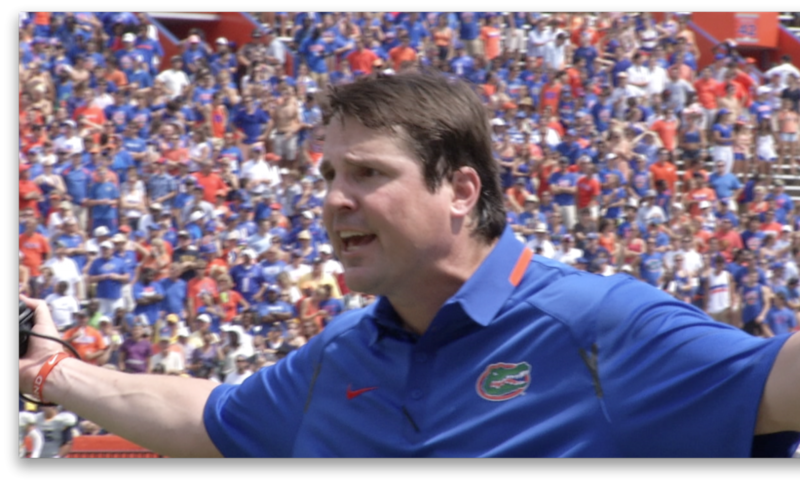 Will Muschamp to ref after a holding call vs. Toledo he wasn’t particularly happy with: “Hands are inside! What do you want us playing, flag? !” CLASSIC! Tori filmed this video during her work on the sidelines as the football beat reporter for WUFT Sports. 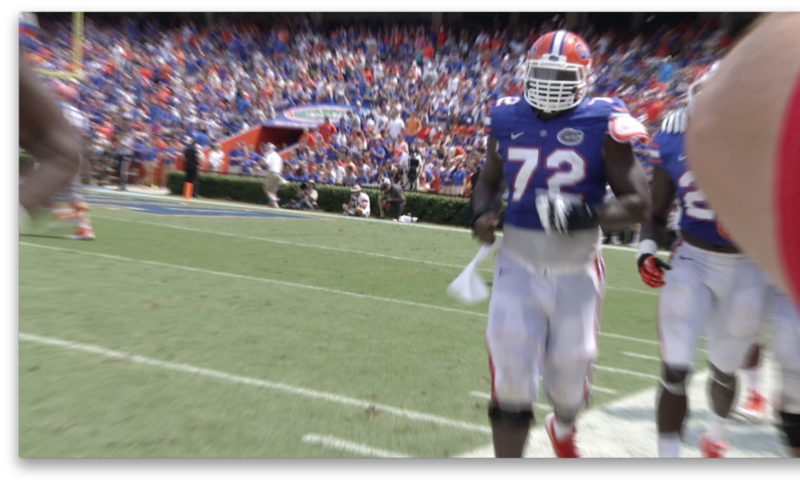 After a Florida touchdown vs. Toledo in the Gators’ first game of the season, 310-lb. Center Jonotthan Harrison was particularly pumped up about the play. He proceeded to show the camera (and consequentially, Tori) just how excited he was. Speedweeks. It’s a term usually used to describe the events staged at Daytona International Speedway to rev up for the Daytona 500. For two years now, I have covered these few weeks of racing in February for ESPN Radio Ocala/Gainesville. This year, however, my Speedweeks got a little extra speed. 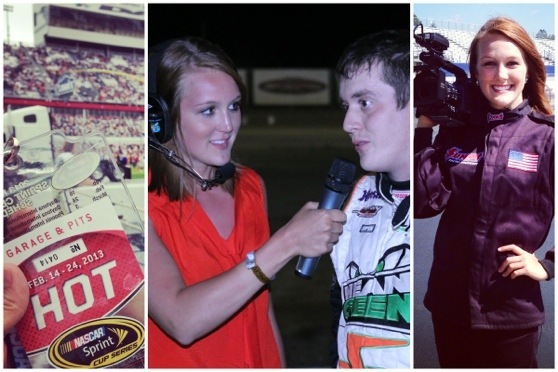 Between trips to Daytona, I spent the last weekend in February pit reporting for the Amsoil USAC National Sprint Car season opener at Ocala’s Bubba Raceway Park. 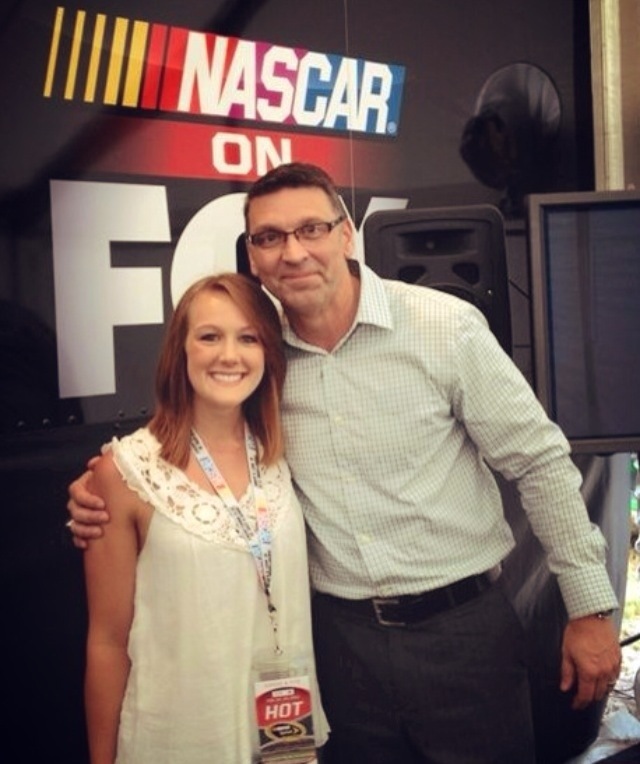 Thanks to her friends at ESPN and SPEED Channel broadcaster Matt Clark, Tori had the chance to experience the Daytona 500 pre-race buzz with an inside look. She sat in on set for SPEED’s Raceday show and saw Matt & his fellow broadcasters Kyle Petty, Kenny Wallace, John Roberts, & Larry McReynolds in action.